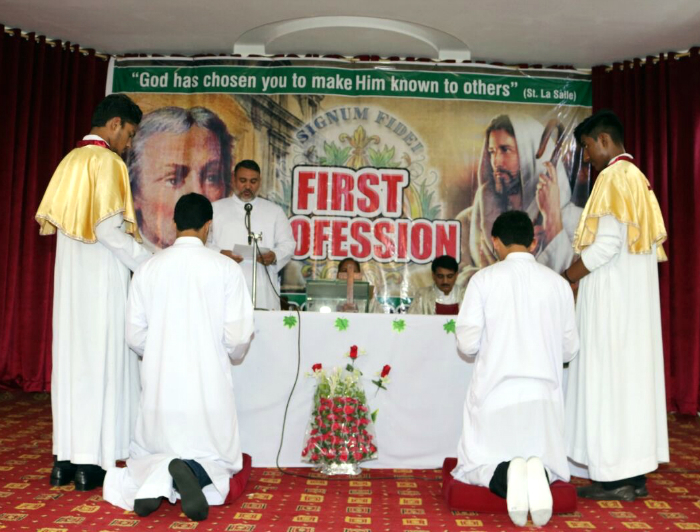 The ceremony of First Profession for Brothers Taimoor and Robin, was held in Pakistan combined with the Robe Taking Ceremony for Brothers Sajawal and Gulfam on the 12th August 2017. The occasion was a display of great hope and joy for the Pakistan Sector and Brothers from the District. 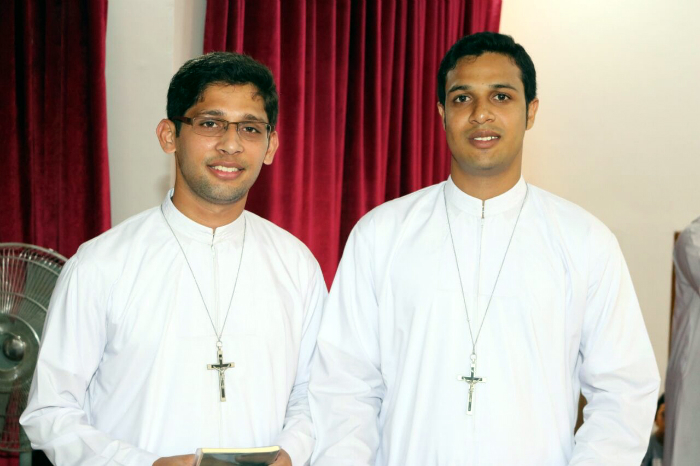 Brother Shahzad George Gill (Aux.Visitor) performed the ceremony on behalf of Brother Superior General and all immediate family members were invited to attend the ceremony.